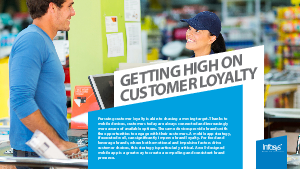 Customer loyalty is hard to come by today, amid a growing array of choices, omnipresent discounting and fast changing trends and customer preferences. To cut through the clutter, product retailers are increasingly creating targeted offers tailored to customer preferences, to be delivered through an online platform. A premium drinks maker was following the same path when they created a mobile loyalty app to push promotions and notifications to customers. But something crucial was missing. See how Infosys helped and the five key takeaways from the project.